Mangrove plants (Avicennia marina var. australasica) amongst the streams and shellbanks of the Miranda Coast. 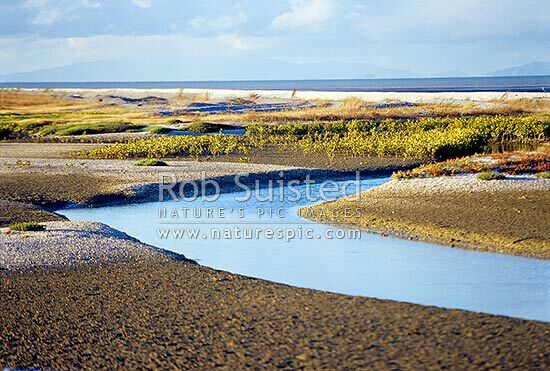 Chenier plains, Miranda, Franklin District, Waikato Region, New Zealand (NZ), stock photo.